The Caribbean is always on the top of the vacation getaway list with Punta Cana in the Dominican Republic and Montego Bay in Jamaica. The Caribbean’s golden sands coupled with RIU’s newest all-inclusive resorts will delight your family, group, or fellow couples with the perfect mix of relaxation, entertainment, and excitement (plus meals and drinks). 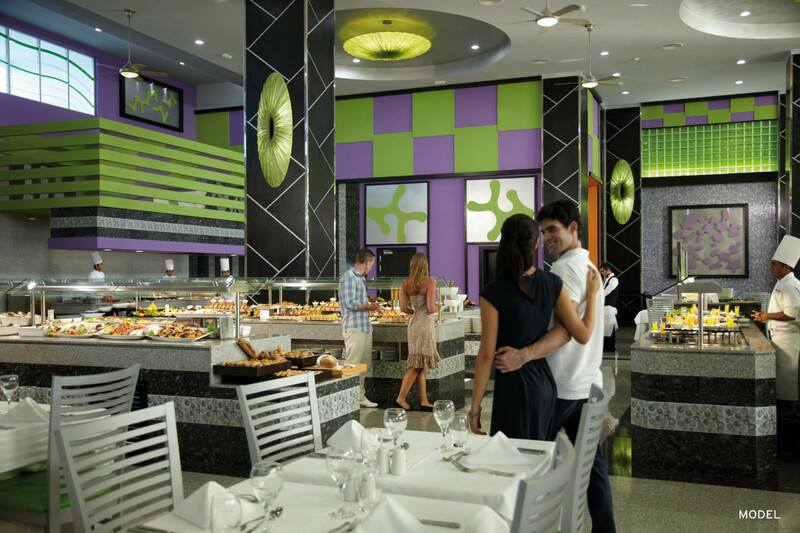 RIU’s newest all-inclusive resort in the Dominican Republic, Riu Republica is located in the always exciting Punta Cana and on the famous golden sands of Arena Gorda Beach. Perfect for young couples and their friends, this resort is a 24-hour, all-inclusive property designed especially for adults only, helping to create relaxing days you’ll remember for years to come. Riu Republica is partnered with world-class golf courses to bring you an exceptional time on the greens. Check out Casa de Camp, which features not one but three championship golf courses, 63 holes in all, designed by hall-of-famer Pete Dye. His masterpiece, Teeth of the Dog, is ranked #1 course in the Caribbean and #39 in the world, and will host the DR Open in May. Other partner golf courses include the Seaside Dominican Republic Golf Courses, boasting Tom Fazio’s Corales, and Play Dora Golf Course, designed by Robert Trent Jones, Sr.
For couples who just want at day to relax, the wellness center offers a variety of services, including treatments and massages. Free sunloungers, the quiet sands of the beach, and La Calle Caribeña, a shopping center with fashion shops and restaurants, make for a lovely day before an elegant dinner at the á la carte Italian restaurant. Your group will enjoy the numerous water sports (windsurfing, kayaking, pedaloes, and snorkeling) during the day, find live music in the evening, and dance in the on-site discotheque at night. 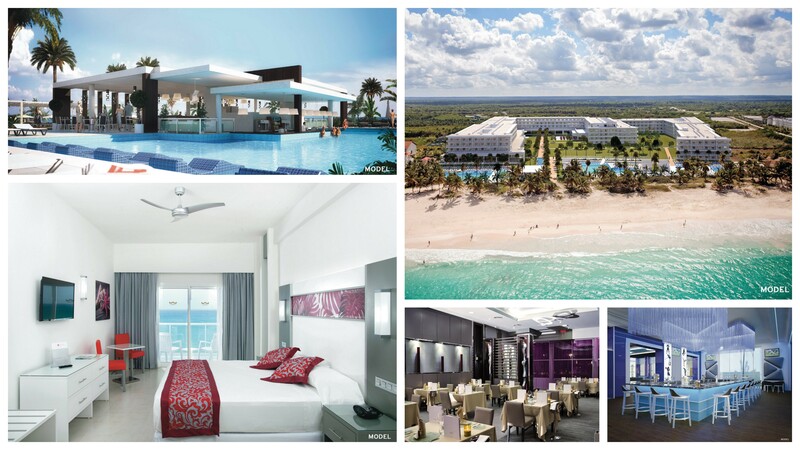 Starting planning your getaway to Riu Republica, opening this summer. Jamaica’s most popular destination, Montego Bay offers amazing activities and famous sites, like golf at Tryall Golf Club, Half Moon Golf Club, and the White Witch Golf Club. Don’t miss fishing for marlins, yellowfin tuna, and a variety of mackerel, or visiting Rose Hall Great House with its spectacular views and mysterious past. See the natural phenomenon of Glistening Waters, a bioluminescent bay where the water actually glows. 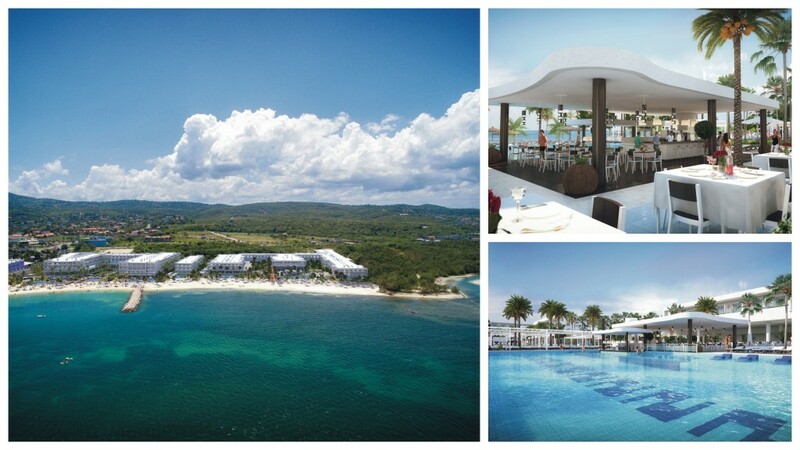 And your place to stay in Jamaica is the all-new, adults-only Riu Reggae. Ideal for a beach destination, your group will be welcomed with drink of Cava before relaxing on one of the complimentary sun loungers on the sand or upon the sun terrace. Plus, since Riu Reggae is located next door to Riu Montego Bay, your group will receive great benefits, like access to the Pacha discotheque, daytime entertainment, live music and shows, and more. Also, all guests receive free Wi-Fi at Riu Reggae, so you’ll be able to post your fun moments on your favorite social media platform or work on that important presentation. Riu Reggae begins welcoming group getaways this December. So begin planning your relaxing escape now. Contact your local travel agent and ask for Riu Republica in the Dominican Republic or Riu Reggae in Jamaica!